Jumping on popular trends and fads is a lucrative business in the app stores. These are short-term but repeatable plays. Depending on your skills set (maybe you need to hire an engineer and a designer), you can easily take advantage of of a mature app economy and bring in some extra cash with the proper intelligence at your fingertips. Ketchapp, a mobile publisher owned by Ubisoft, is the best in the business at this type play. Remember the fidget spinner fad? When it took off, Ketchapp and others astutely created apps with the virtual functionality of a fidget spinner. According to estimates from my company Apptopia, from May through today, Ketchapp has brought in an average of $57,000 a day from its app, Fidget Spinner. The app makes money from advertising and in-app purchases. There are two main jumping off points but both are a form of piggybacking. The first is to hop on a trend as described above and the second is to jump on the back of a successful platform such as Instagram. We're going to focus on the first option but as an example of piggybacking on a platform, Unfollowers for Instagram does a great job. The app's main feature is to let users know who unfollowed them on Instagram. There are countless revenue generating apps created to work with already popular platforms. To begin identifying a lucrative fad, view the top charts on the App Store and Google Play. Stay away from the top grossing charts as the types of apps we are looking for rarely break into that category. Look for some silly game that has managed to climb it's way into the top charts and analyze it. If you're serious about generating revenue through the app stores, an app intelligence provider can go a long way for you. Analyze the rank history, downloads, how it generates revenue, and what it's mechanics are like. If it looks promising, download it and learn everything you can from how they created the game to how they monetize it, maybe you can execute even better. The other trick in identifying app store trends is to see what's going on in the world. If a popular fad/trend breaks into the news, search for it on the app stores and see how many developers are already capitalizing. Increases in Google searches often correlate with app store searches. Once you've found a trend or fad that generates revenue and interest, build the app. You can't generate revenue without downloads and users, but how do you acquire them? Make sure to word your app description in an SEO/ASO friendly manner. Updating the app every few days with bug fixes or improvements also helps. Post a download link to niche communities such as subreddits, Slack channels and specific Twitter hashtags. Build incentivized social sharing into the app. Encourage your users to share on their social channels by getting something in return such as extra coins. If you have money to deploy, pay for in-store search ads. Pay a lesser known ad network for a defined number of installs. The more niche the network, the less expensive this will be. 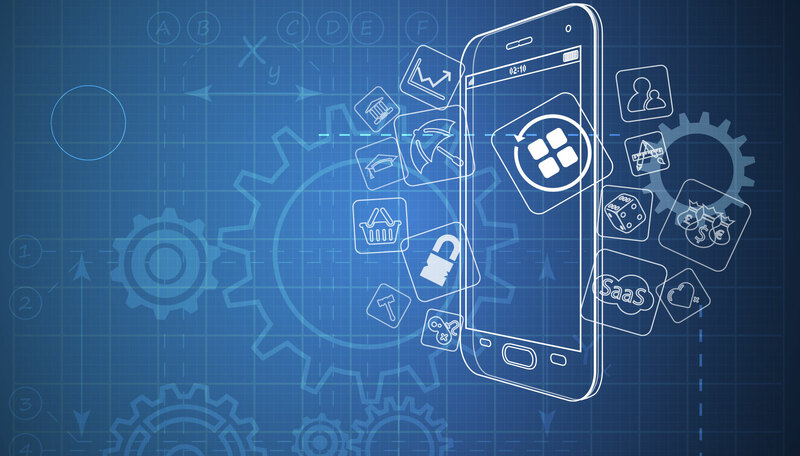 If you manage to get your app to show up in the top charts, it creates tremendous momentum. People see the app and download it, further perpetuating its success. Now it's time to make some money. For our strategy, it's best not to make your app paid. Paid apps cost the user upfront to download the app. We want to acquire as many users as possible in a short amount of time and generate revenue from advertising to them and getting them to make in-app purchases or IAPs. Apple has paid out more than $70 billion to developers since 2008. This is almost entirely from in-app purchases. Create IAPs your users will want such as a new weapon or the removal of ads. Price the IAPs low and make them repeatable. Don't let users remove ads for all of eternity- price them based on time removed. The more time ads are removed, the more money the purchase should cost. Use natural breaks within the app to show ads. Maybe during a load screen, after the completion of a level, or right after a user logs in. If it's not too distracting, you can run a constant banner ad on the bottom. Always install an analytics SDK to determine where people are dropping off. Pay especially close attention right after launch. If people aren't converting where you thought they would, tweak it so they do. Experimentation is your friend and you might need to make multiple tweaks to get it right.